Charles (Jeff) Kellogg completed his baccalaureate degree in civil engineering in 1966. 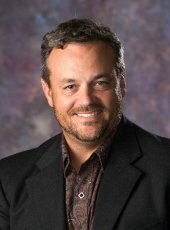 He is the past President/CEO of Chateau Communities, Inc. of Englewood, Colorado. Chateau, Inc. is a self-administered and self-managed equity real estate investment trust and one of the largest owners/operators of manufactured housing communities in the United States; it is a public . . .
Kewal Krishan Aggarwal '61 (born June 2, 1920) traveled to the US to attend Michigan Tech while in his 40's, leaving behind his family in India. He graduated with his bachelors in civil engineering from Michigan Tech in 1961. While at Michigan Tech he was a member of the International Club. After graduating, Kewal served in the Military Engineering Services for the . . .
Dr. Thomas J. Rentenbach, a 1932 civil engineering graduate of Michigan Tech, was Chairman of the Board of Rentenbach Engineering Company. After graduation, Thomas entered the Army Corps of Engineers. He worked with the Corps until 1946, in the United States and on the Panama Canal. In 1946, he founded Rentenbach Engineering Company and served as General Manager until . . .